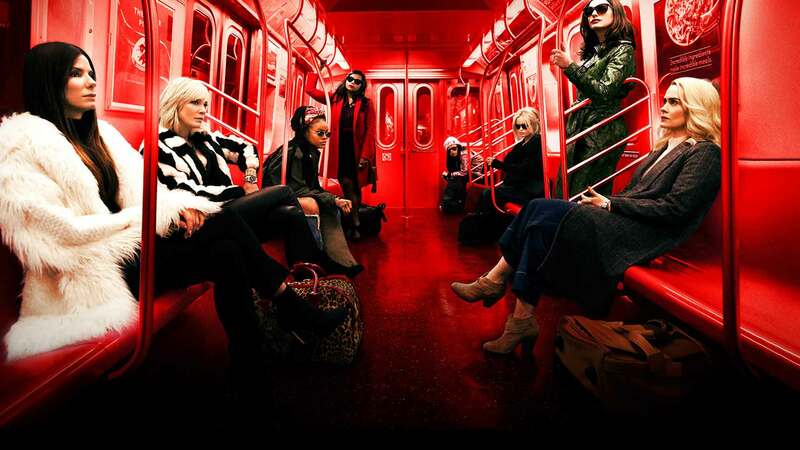 Ocean’s 8 (stylized onscreen as Ocean’s Eight) is a 2018 American heist comedy film directed by Gary Ross and written by Ross and Olivia Milch. 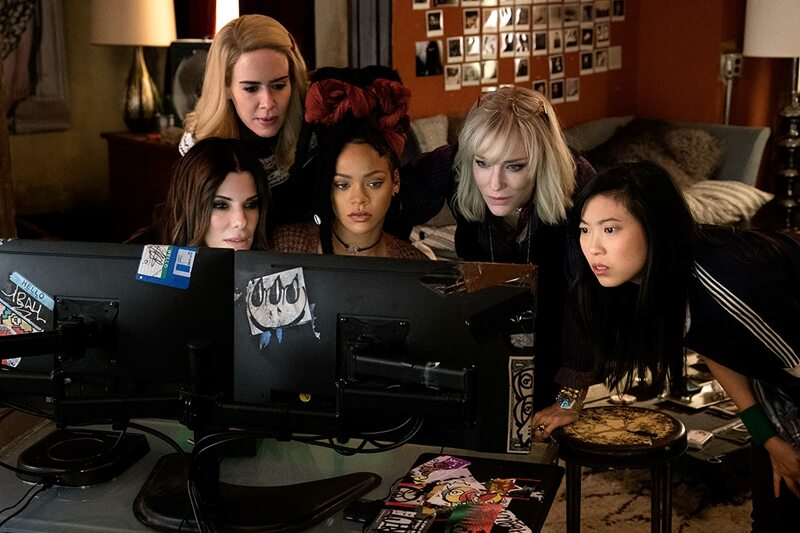 The film is a spin-off from Steven Soderbergh’s Ocean’s trilogy and features an ensemble cast, including Sandra Bullock, Cate Blanchett, Anne Hathaway, Mindy Kaling, Sarah Paulson, Awkwafina, Rihanna, and Helena Bonham Carter. The plot follows a group of women, led by Debbie Ocean, the estranged sister of Danny Ocean, who plan on robbing the Met Gala. 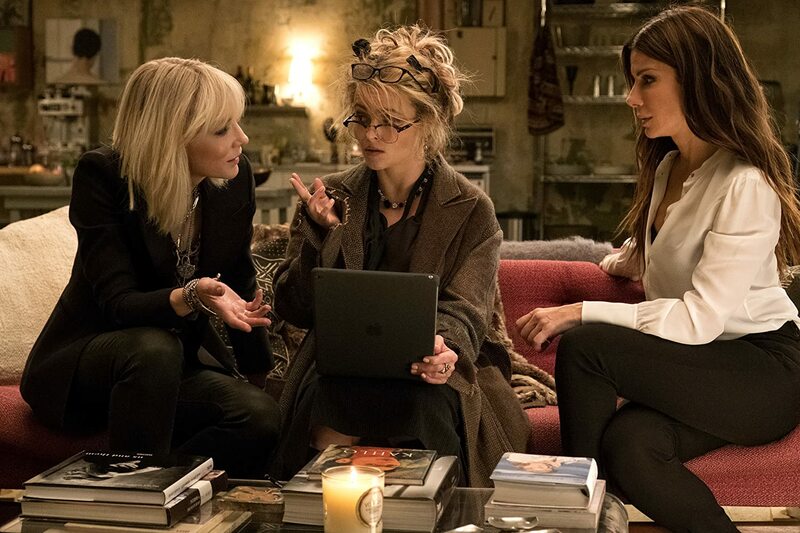 Why Ocean’s 8 and not Ocean’s 14? Could it be that they can’t find enough good actresses to staff 14? Besides, why remake this? 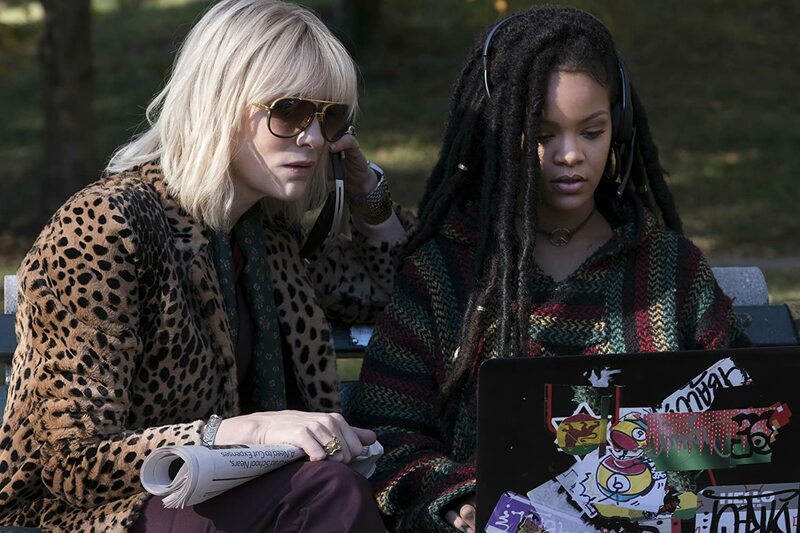 Why not call it something else besides Ocean’s 8? – I was going to say Star Wars, but the studio ruined it with Jar Jar years ago.